Audiences across Queensland will have the chance to experience the grandeur of Russia’s Bolshoi Ballet via live simulcast from the Queensland Performing Arts Centre (QPAC) on Tuesday 4 June 2013. The Bolshoi Ballet will present two productions, Le Corsaire and Dmitri Shostakovich’s The Bright Stream, which have never before been performed in Australia, both accompanied by the Queensland Symphony Orchestra. The Bolshoi Ballet has not visited Australia in almost two decades and they are performing exclusively at QPAC from May 30- June 9 as part of the QPAC International Series, a partnership with Tourism and Events Queensland to bring the best companies in the world to Queensland. 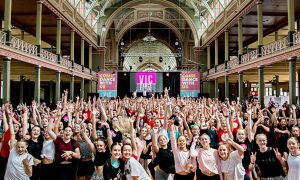 QPAC Chief Executive John Kotzas said this simulcast will be the first ballet to be simulcast by QPAC and will go to eight regional centres around Queensland. It follows on from previous successful simulcasts of performances by Opera Australia, Hamburg Philharmonic Orchestra with the Hamburg State Opera and the Vienna Philharmonic Orchestra. “In many ways audiences get a more intimate look at the production than they would if they were in the theatre. 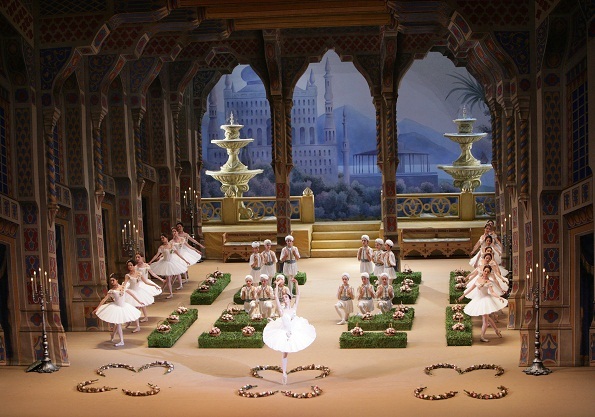 And with a production like Le Corsaire which is a huge ballet with massive and intricate sets, regional audiences will be able to see those sets and dancers up close and in detail,” said Mr, Kotzas. QPAC works with regional performing arts centres across the state installing equipment and providing technical expertise enabling venues to receive performances live from QPAC. In previous years live simulcasts as much as doubled the number of people able to experience the performance. Queensland venues participating in the live simulcast of the Bolshoi Ballet are: Burdekin Theatre (Ayr), Moncrieff Theatre (Bundaberg), Cairns Civic Theatre (Cairns), Marquee Gladstone Marina (Gladstone) presented by Gladstone Entertainment Centre, Mackay Entertainment and Convention Centre (Mackay), Seafront Oval (Hervey Bay) presented by Brolga Theatre and Convention Centre and Fraser Coast Regional Council, Pilbeam Theatre (Rockhampton) and Empire Theatre (Toowoomba). This free event is a treat for regional audiences. Make sure not to miss it! Live coverage from 7 pm, performance from 7:30 pm. Tickets are free. Bookings may be required. Burdekin Theatre – Ayr – Book at www.burdekintheatre.com.au or by calling 07 4783 9880. Moncrieff Theatre – Bundaberg – Book in-person at box office only. For information, visit www.moncrieff-bundaberg.com.au or call 07 4130 4100. Cairns Civic Theatre – Cairns – Book in-person at ticket office or phone 1300 855 835. For information, visit www.cairnscivictheatre.com.au. Marquee Gladstone Marina – Gladstone – (Presented by Gladstone Entertainment Centre). Book in-person at box office or phone 07 4972 2822. For information, visit www.gladstone.qld.gov.au/gec. Mackay Entertainment and Convention Centre–Mackay- Book at www.mackaytix.com.au or by calling 07 4961 9777. Seafront Oval – Hervey Bay- (presented by Brolga Theatre and Convention Centre and Fraser Coast Regional Council) – No bookings required. For information, visit www.brolgatheatre.org or call 07 4122 6060. Pilbeam Theatre – Rockhampton- Book in-person at box office only. For information, visit www.seeitlive.com.au or call 07-4927-4111. Empire Theatre –Toowoomba- Book at www.empiretheatre.com.au or by calling 1300 655 299.